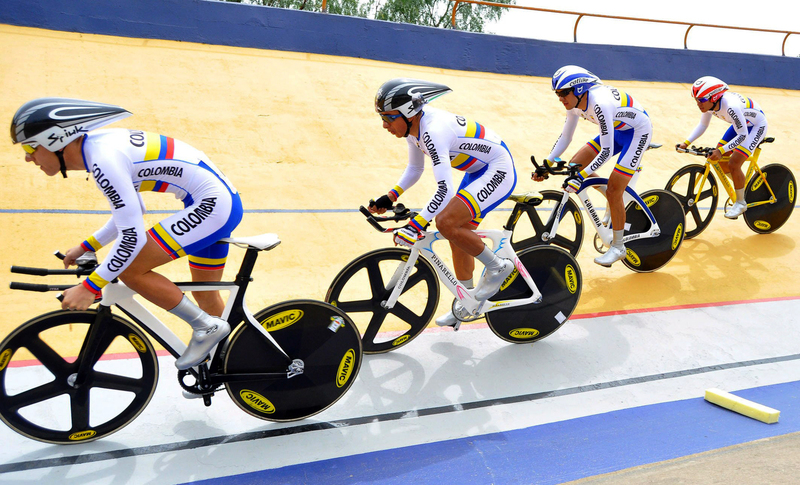 This picture of Colombia’s Gold-Winning team pursuit in action was taken during the XVI Bolivarian Games in Cochabamba, Bolivia on November 19th. Really awesome shot. Check it out full-res here (edit: fixed link), over at Bike Wire. I’ve got a new wallpaper for my desktop! That week saw a lot of track events. The 6-Days in Munich, the XVI Bolivarian Games and the 2009 UCI Track World Cup at Hisense Arena in Melbourne. A lot of great athletes came out to each event and showed what it takes to win the Gold.